In the next few weeks, thousands of college freshmen will be moving into their dorms for the first time. If you are one of these enterprising young students (or the parent of one), chances are that you’ve made sure you have all the necessities: pens, notebooks, books, laptop, etc. However, you can’t spend your every waking minute studying and there’s not always going to be a party going on; you need something to do to unwind a little bit! That’s why I’ve compiled a list of entertainment goodies that you (or a parent) should consider picking up before move in day. No TV is complete without a digital media player to hook to it. These petite devices are bigger on the inside. A box only a bit larger than a deck of playing cards can unleash a world of entertainment options, including multiple on-demand streaming services like Netflix, movie/TV show/music purchases via iTunes or Google Play, games, and much more! The two I would recommend are the Roku 3 and the Apple TV. The Roku 3 boasts a more robust app lineup, access to programming such as Amazon Instant Video and Google Play (something particularly welcome if you or your college-attendee-to-be uses an Android smartphone), and a better remote that includes a built-in headphone jack for when other people in the dorm are studying. The Apple TV, however, is the perfect device for the discerning college student that already uses an iPhone/iPad or Macbook. The interface is more clean and user friendly, features most of the high profile apps of the Roku 3, allows direct access to a user’s existing iTunes movies/TV/music library, and can mirror the display of an iPhone or iPad or Macbook (2011 Pro models and later only) and can even serve as an extended desktop for a Macbook via AirPlay. Plus, it boasts a smaller price tag ($69 for the Apple TV vs. the Roku 3‘s $99). 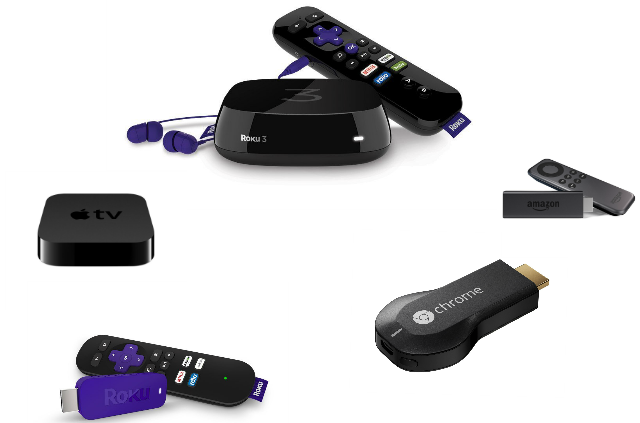 Budget minded shoppers may want to consider the Roku 3500R Streaming Stick, the Amazon Fire TV Stick, or the Google Chromecast. These devices are smaller than the Roku 3 or Apple TV and boast an even smaller price tag ($39.99 for the Roku and Fire Sticks, $35 for the Chromecast). However, they don’t have the same amount of power as their bigger cousins and are limited in their functionality (the Fire TV Stick is practically useless without an Amazon Prime subscription; Chromecast requires broadcasting from a laptop, tablet, or phone). Still, they are good options for those with limited funds. 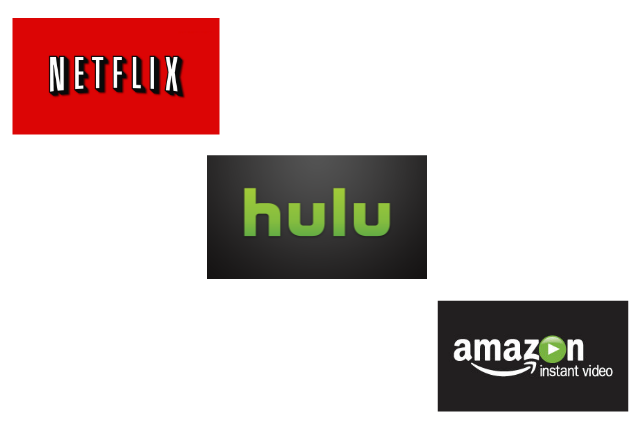 Chances are that you are already enjoying a Netflix, Hulu, or Amazon Instant Video account in your home already. However, students going away for college really deserve access to their own account. There is the whole thing that only so many people can watch from one account at the same time to consider, but more importantly is that no student wants mom and dad to know that their busy social schedule really consists of binge-watching Breaking Bad and Doctor Who. So… Which service(s) should you subscribe to/gift a subscription to? Netflix is obviously the king of the bunch. It’s been around longer, is updated with fresh content every single month, has great original programming, and is available on practically everything with an Internet connection. Hulu on the other hand is cheaper ($7.99 a month vs. Netflix’s $8.99 a month), allows day-after-airing access to hit shows from the major networks not named CBS (Hey, not everywhere has a good CW affiliate, OK? ), has a great lineup of older shows, and boasts a growing lineup of original content. Amazon Instant Video, powered by Amazon Prime, is the most interesting service in the bunch. It too has its own original programming, has a number of exclusive shows and movies (including cult favorites like The Americans and Hannibal), and is the cheapest of the three ($49 a year for Amazon Prime with proof that the purchaser is a student; parents can also share benefits with a student’s Amazon account). Plus, Prime members get access to thousands of songs through Prime Music, unlimited digital photo storage, the Kindle Owner’s Lending Library, and more. Each service has its pros and cons. You must determine which service is right for you or your student. Next, you know what else can access these streaming services? 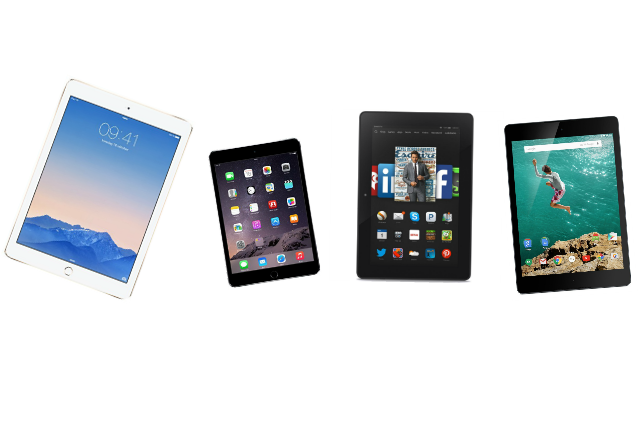 Whether you pick out an iPad Mini 3, an Amazon Kindle Fire, or the Google Nexus, these handheld computers are the perfect entertainment and productivity device and every student needs one. Sure, these devices come with a hefty price tag, but just think what they allow you or your student to do – easier note taking, on the fly research, an entire library of books available at a touch, and powerful digital organizers to keep it all inline! Of course, this is an entertainment guide, so we should probably also consider the fun side of owning a tablet. Besides the aforementioned books, most tablets allow access to a myriad of streaming options (including the ones listed above); either iTunes or Google Play or Amazon for movies, music, and TV shows; and plenty of fun apps and games. Best thing of all, using a tablet doesn’t limit you to a stuffy dorm room. Throw on a pair of headphones and watch a movie outside on the grass, play a game after a long day of hitting the books, or catch up on last night’s episode of The Flash in the student lounge. No matter the situation, a tablet is a must have for work or play. If you need something a little more beefy than a digital media player, you might want to consider a video game system like the Xbox One or PlayStation 4. They feature most of the same benefits of a Roku 3 or an Apple TV, giving immediate access to services like Netflix and Hulu, while also doubling as a Blu-Ray player and a video game system (duh!). If you or your favorite college student wants to be able to watch a movie they rented from a Redbox kiosk instead of an online service while also hosting a big Madden tournament, this option is the way to go. Each system has its own pros and cons so you’ll have to do some soul searching before deciding which system is worth your $400. Each has its own online service, game exclusives, and unique services. Would you or your student rather play the next Uncharted or Halo 5? These are the tough decisions, but you can’t really go wrong either way. Does that departing student already have an iTunes account? 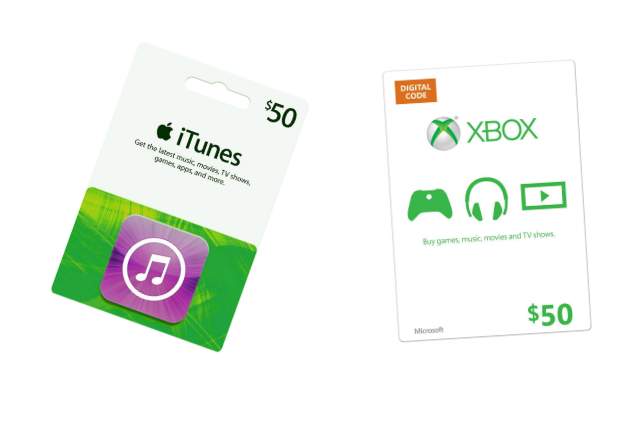 A gift card will help him/her buy that new album for those late night study sessions. 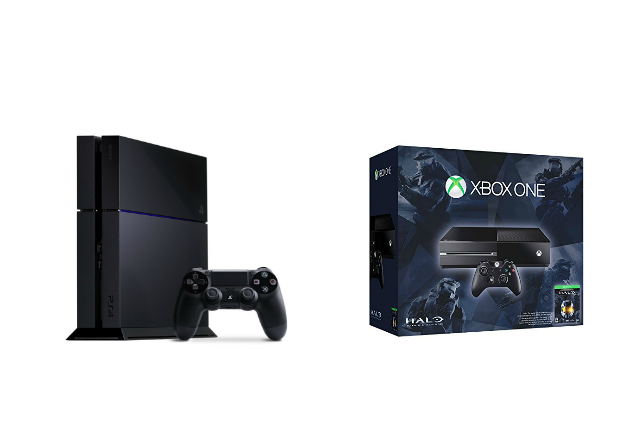 Already hooking up a Xbox One in that dorm room? A Xbox Live Marketplace card can get him/her a new Call of Duty map pack as a “going away” present. Whether it be Amazon, Google Play, PlayStation Network, Regal Cinemas, or anything in between, a gift card is a more than valid way to show any student heading to college for the first time that you care and that you want them to have fun. Of course, if you are that student… Never hurts to spoil yourself every now and then, does it? 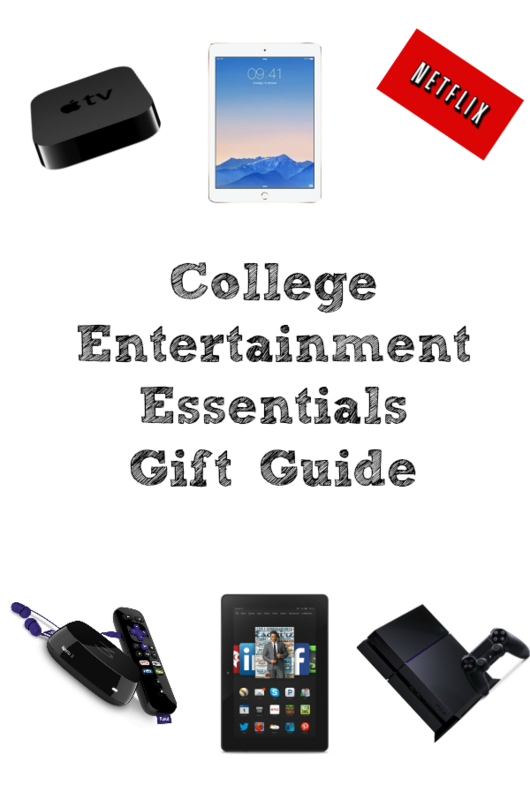 That’s my College Entertainment Essentials guide! Hope you found a few ideas as what to buy before heading away to college (or buy for those heading off). If you have some ideas of your own, please share them with me on social media and I might include them in next year’s list. Until then, happy learning!